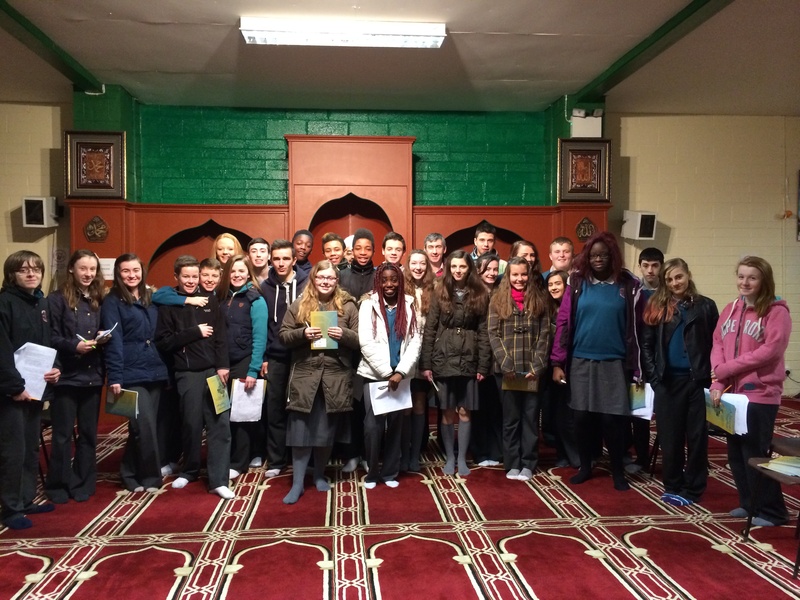 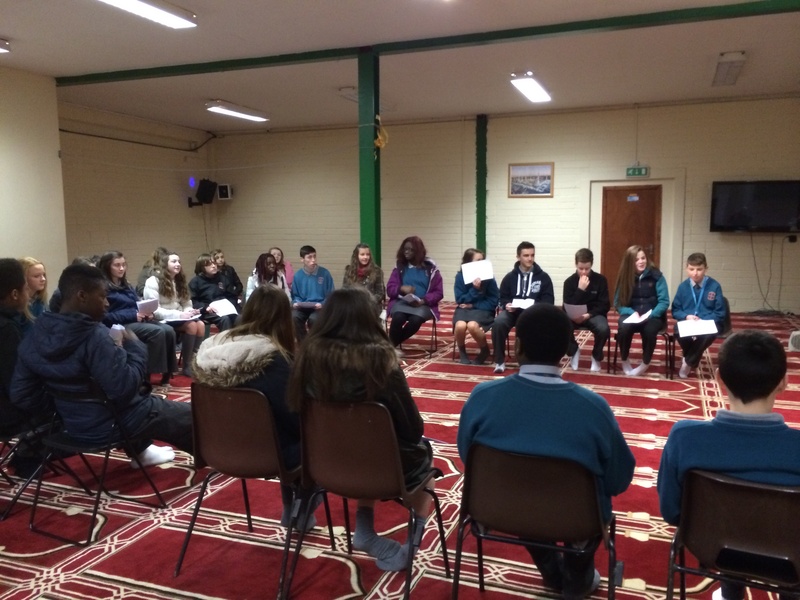 On Thursday 13th February the second year class students of Hartstown Community School visited Al-Mustafa Islamic Centre as part of their project on World Religions. 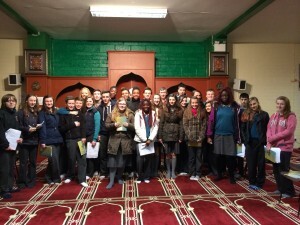 The project consisted of a visit to the Mosque. 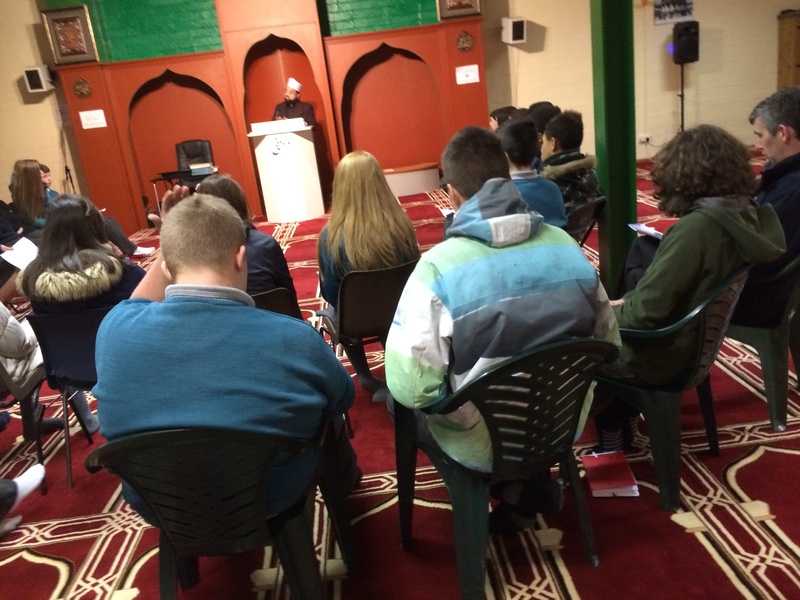 The students were welcomed by Shaykh Muhammad Umar Al-Qadri, Br Arif Rana and Br Ammad Rashid. 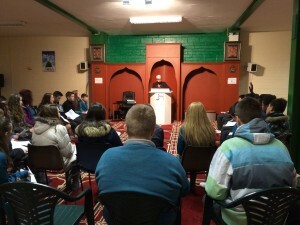 The Shaykh gave a 45 minutes talk on the teachings of Islam. 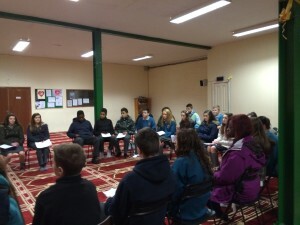 This was followed by a half an hour question and answer session in which students asked many questions related to Islam. The students were all presented a book on Islam and Christianity which highlights the commonalities and the differences between Islam and Christianity. The religious teacher Mr. Darren Crawley on behalf of the students thanked the Shaykh for the visit and the presentation.